Well this week officially kicks off the holiday season, and during the holidays I love to dress up! I love to wear pretty sweaters paired with nice black pants or a cute skirt when going house to house to see family and friends. To give you readers out there some ideas on an outfit to wear for this Thanksgivings or other holiday festivities, todays topic is: Skirts. Skirts aren’t something one typically thinks of when deciding on what to wear in the winter months. When it’s cold outside, everyone wants to keep warm with sweatshirts, sweaters, and jeans. This can get boring. Spice up your outfit with a skirt and pair it with your favorite leggings or tights to keep warm. I personally like shorter skirts. I, myself, am a short girl so longer skirts look horrible on me. I love mini skirts (not too short though), pencil skirts, and flounce skirts. I paired a simple black mini skirt with a cable knit, turtleneck sweater. Wear with a pair of leggings and ankle boots. When wearing leggings with this outfit you look dressed up, but you still feel super comfy. I paired a fun patterned pencil skirt with a simple black fitting sweater. I love this polished look with a pair of tights, black heels, and a statement necklace. I love the flounce skirt! I think it’s super cute, flirty, and comfy! I paired it with a sparkly sweater and long necklace; perfect for a holiday party. Wear it with a pair of tights and heels for a dressed up look, or over the knee boots for a trendy look. Well, there you have it, a few options to look stylish this holiday season. These outfits are perfect for a nice holiday feast with your family, a night out with friends, or a fun holiday party. 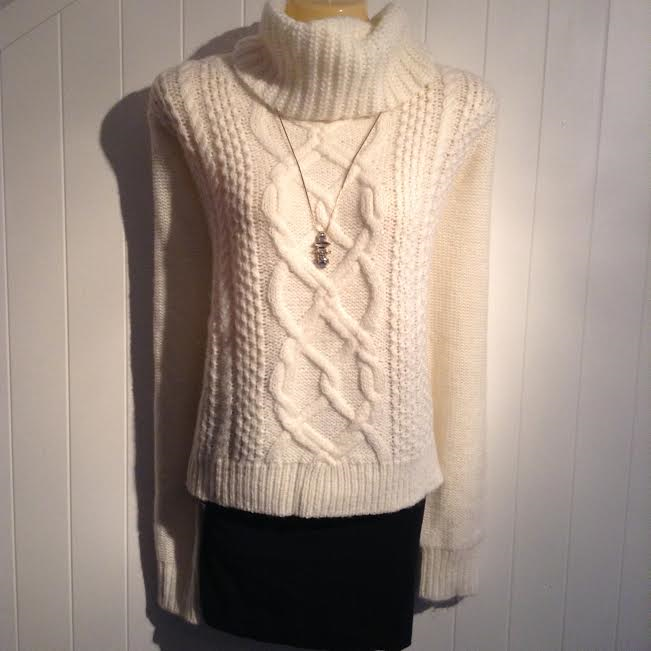 Next time you reach in your closet to wear your favorite sweater; try it on with a skirt. Give your jeans a break!